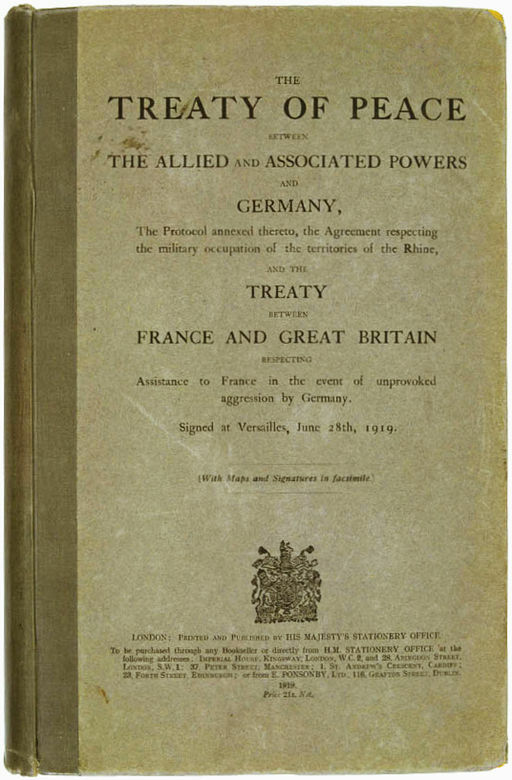 To judge in retrospect, The Versailles Treaty laid the foundations for the Second World War. It showed little mercy, and in time the concequences would be dire. France in particular, under the leadership of Clemenceau, set out to humiliate Germany. The generation who fought Britain and France in 1914 never accepted the moral responsibility for starting the conflict, blaming Serbia and her ally, Russia instead. In August 1914, Russia mobilised her army sooner than Germany had expected and was able to strike into the Baltic provinces of Northern Germany, the homeland of the officer corps and heartland of the Junker class. This early move was a direct threat to Prussia and had to be countered quickly; Germany saw her military response as defending East Prussia and Germany’s vital interests. They inflicted catastrophic Russian defeats at the battles of Tannenburg (August 1914) and Marsurian Lakes (September 1914), however, and soon German armies were free to fan out into vast areas of Western Russia, thus ending the perceived encirclement of the preceeding 20 years. Humiliation and anger were the reactions when The Treaty decreed these lands be conceded at the cessation of hostilities in the West. In the eyes of all who fought to end the encirclement engineered by France, Britain and Russia, Woodrow Wilson’s “just peace” did not apply to the vanquished. To German eyes it smacked of gross hypocrisy. Subversion of the Treaty began almost immediately. A secret understanding between the Social Democrat Ebert and the army preserved the officer corps’ reputation, in return for the army’s cooperation in crushing rebellion on the streets. 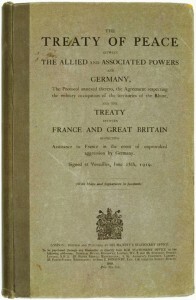 The Treaty also attempted to prevent the German military from becoming an effective fighting force. The land army was restricted to 50,000 men. Germany was forbidden to re-build an air-arm or to build submarines. Her surface fleet was also restricted. Therefore the General Staff concentrated on quality rather than quantity, and retained only the very best and innovative young officers who had served in the Great War; Manstein, Rommel, Guderian, and Von Runstead. They were all advocates of mobile warfare (Blitzkreig) and quickly rose to positions of high command under Hitler. Tanks were manufactured in secret in Russian factories during the 1930s, paid for by secret army funds. Submarines were built in Sweden and South America, whilst the fighter pilots of the future learned to fly in glider clubs run by ex-military personnel. These measures laid the corn seed of Hitler’s Blitzkreig tactics. He was also able to tap into the bitterness and resentment of a generation of young Germans who had grown up in the inflationary and depression years of the Weimar. Meanwhile, in Britain and France, military innovation languished, whilst defence spending was cut to the bone in the inter-war years, forcing both countries to adopt a policy of appeasement until it was almost too late.